Maïsano was quickest in practice at Silverstone. © FIA F3 Media. 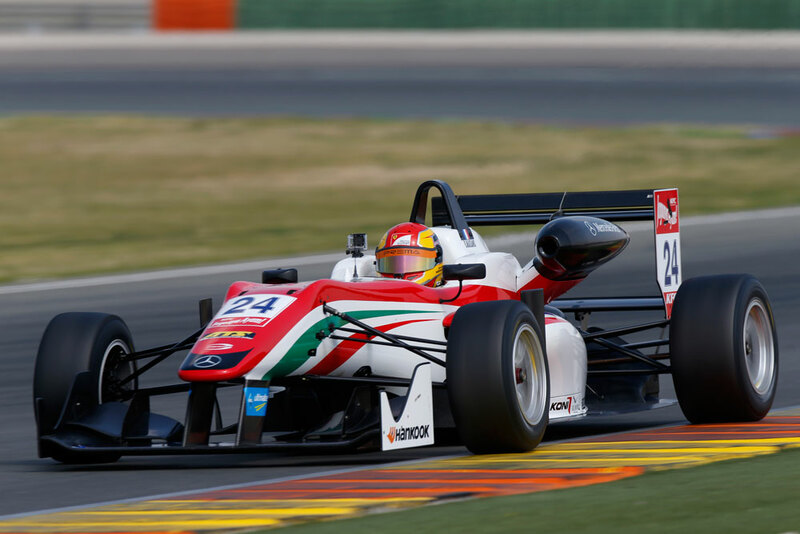 Brandon Maïsano and Lance Stroll topped the opening FIA European Formula 3 practice sessions of the season at Silverstone. The Prema Powerteam dup made the best of the traffic in the warm and sunny conditions Maïsano to find time, with Maïsano setting the quickest lap of all with a best of 1:51.677s – ending the second session just 0.066s ahead of teammate and F3 veteran Felix Rosenqvist. Stroll’s FP1 effort – a 1:52.123 – gave him a narrow margin over Carlin rookie George Russell, with the Briton following that up with 3rd in FP2. In a packed field of 35 entries, only two-and-a-half seconds covered top-to-bottom. If this is replicated in qualifying and the races, the European Championship will be in for a stellar year.